Clocks will go back one hour in Egypt at midnight on Thursday to be the normal two hours ahead of Coordinated Universal Time (UTC) and Greenwich Mean Time (GMT). 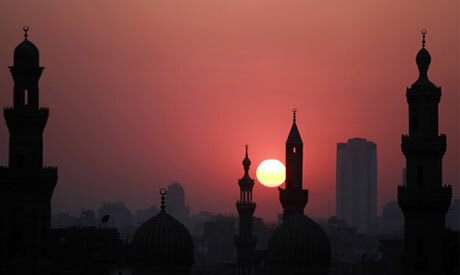 Egypt moved clocks ahead by one hour on Thursday 31 July to restore daylight savings time. Restoring daylight savings time was a meant to alleviate a worsening energy crisis. The decision was temporarily suspended from 29 June to 27 July to shorten fasting hours during the Islamic holy month of Ramadan, where Muslims abstain from food and drink from dawn to dusk. First implemented in Egypt in 1988, daylight savings time was introduced as a power-saving measure to prolong daylight hours. It was abolished almost three years ago following the 2011 uprising that toppled autocrat Hosni Mubarak after officials debated its efficacy on curbing power usage. Facing acute fuel shortages, Egypt has been plagued by frequent blackouts – at times lasting for several hours – that have widely affected homes and factories. The crisis worsens during the summer months when soaring temperatures prompt the widespread use of air conditioners, thus increasing electricity consumption.